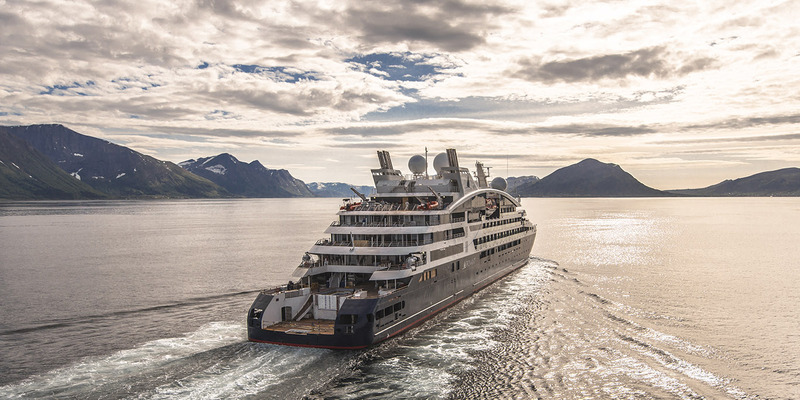 Le Lapérouse, the first ship in the Ponant Explorers series, successfully ran through her first sea trials in Norway last month. The sea trials were completed at the Vard Shipyard in Ålesund, a subsidiary of Fincantieri, a world leader in cruise ship construction. The tests, part of the final stages of construction, also provided an opportunity to reveal the new ship to the world and get a first glimpse at the stunning new addition to the Ponant line. “These sea trials are a real success for the company. Remarkable nautical performances, technical excellence, a high standard of comfort, everything is in place for the Ponant Explorers series to be a real triumph” says Jean Emmanuel Sauvée, CEO of Ponant. The first cruises on board Le Lapérouse start from Iceland in June 2018. The ship will then head to the Mediterranean before completing further itineraries in the Indian Ocean, Asia and Oceania. The construction of the five other ships in the Ponant Explorers series is also well under way. The steel-cutting ceremony for the fifth and sixth vessels, Le Bellot and Le Surville, scheduled for delivery in 2020, took place on 4 April in Romania. More recently, Le Champlain reached Norway on 27 April to complete the final phases of her construction. The inaugural cruise will take place on 25 October in Honfleur, France. The construction of Le Bougainville and Le Dumont d’ Urville progresses on the Vard shipyard in Tulcea in Romania; the ships are scheduled for delivery to the Ponant fleet in 2019.